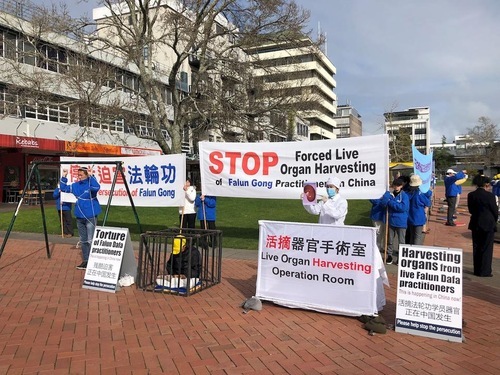 Falun Gong practitioners held a rally in the city center of Hamilton, New Zealand on July 27 to raise awareness of the 19-year persecution of this peaceful mind-body cultivation practice in China. Since 1999, practitioners in China have been arrested, detained, and sentenced without due process. Many have been subjected to torture, psychiatric abuses, and brainwashing, and even killed, their organs harvested for transplant surgeries. Hamilton resident Megan Hooper watched the torture re-enactment intently. She commented, “I know that China did some dodgy things, but I have never actually known that meditation is a crime in China. I believe in freedom of religion. People should be able to practice what they want, as long as it doesn’t hurt others… which the government is hurting others, which is not fair. 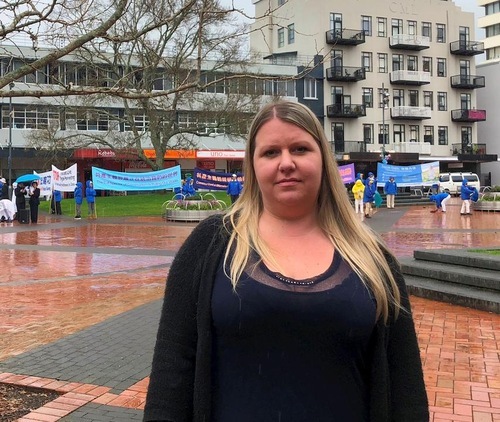 Megan Hooper, a Hamilton resident, is concerned about the persecution of Falun Gong in China. Ms. Broomhall encouraged practitioners to collect signatures and inform more people about the persecution via social media. 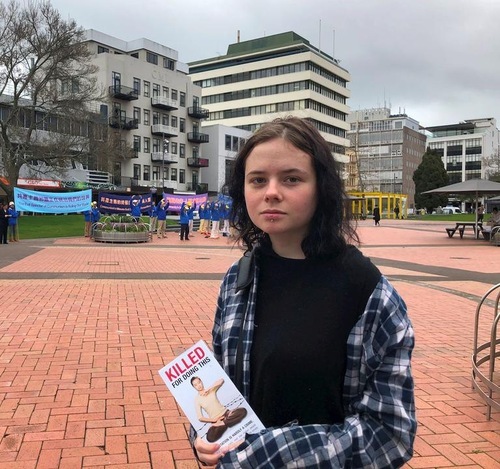 She said she would write to her parliamentary member to raise her concerns, and she would also tell her friends and family to support Falun Gong.